The value of carbon offset programs can go far beyond carbon footprint reduction. 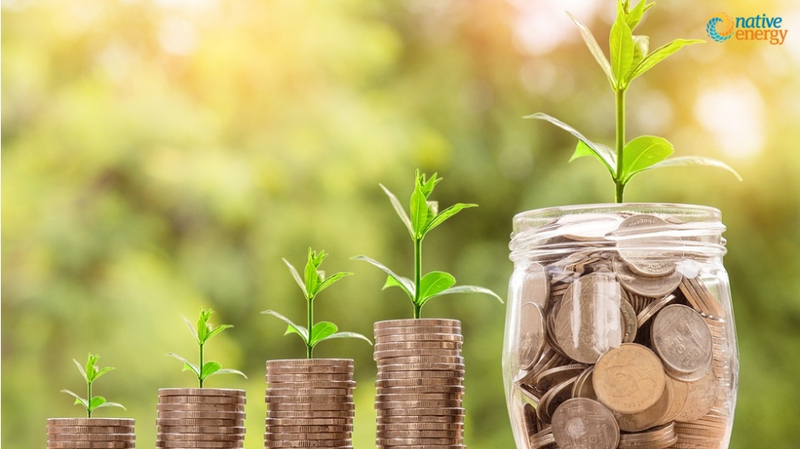 Finding ways to increase carbon offset value can help you create meaningful change within your organization and fund more corporate social responsibility (CSR) initiatives. Here’s how! Why Is Increasing Value from Your Carbon Offset Programs Important? Increasing the value of your carbon offset programs is important because it helps you make a strong business case for CSR action. Finding funding for CSR initiatives is not always an easy job. CSR remains a controversial issue in many business circles, and many critics argue that CEOs should not use stakeholder money to fund CSR initiatives. In their view, CSR initiatives, including voluntary carbon offset projects, are a stealth tax on the business and do nothing more than slow down the value-creation process of capital. Demonstrating the increased value from carbon offset programs will help you get your stakeholders on board with your newest CSR initiative. When you show that carbon offset programs are wealth-generating, not wealth-reducing, you will have a much stronger case for taking more CSR action. Plus, if you can increase value from carbon offset programs (and demonstrate that you did), you will be able to shape the conversations going on in your industry and create meaningful change beyond your own organization. Setting an internal carbon price brings a certain financial rigor to your CSR practices, by internalizing the actual costs imposed by your business. Instead of talking about vague concepts of environmental sustainability and corporate social responsibility, setting an internal carbon price encourages the business to consider the cost, speed, and scale of different carbon offset programs. This strategy gives the CSR department an opportunity to demonstrate a strong business case for sustainability action and make funding decisions based on more objective measures like ROI. The benefits of carbon offset programs go beyond reducing your carbon footprint. Focusing on social impact is a great way to increase the value of your carbon offset program. For example, a study by the Imperial College London showed that for every metric ton of CO2 offsets, $664 of additional social benefits are delivered. The project the study focused on delivered $548 in health benefits alone. However, that’s certainly not the ceiling of what carbon offset programs can do for communities around the world. If you focus on the social impact of carbon offset programs, you will have more data to present to stakeholders. Showing concrete data regarding health benefits and income generation will be much more persuasive than talking about the environmental benefits alone, especially when those benefits occur in and around your supply chain or your customer base. Talking about these social benefits will also help you align your carbon offset program with your greater CSR strategy, which brings us to our next point. The best projects to focus on will depend on whether your company’s CSR strategy is built around environmental, social, health or other impacts. Consider the goals of your overall CSR strategy (as well as your company’s marketing strategy!) and choose projects that will help you make a direct, measurable impact on your business goals. When you can show your executive board you made specific strides towards achieving your greater CSR goals, they will be much more likely to support future CSR initiatives. There are multiple ways to make sure your chosen carbon offset projects resonate with your brand and business. You can choose projects that directly affect your supply chain, the geographic area you operate in, or initiatives which are linked to your products in some other way. You can also select projects that resonate with your business vision and values. You should consider your brand values and sustainability goals to find a perfect match. Both of these strategies will help you build a stronger business case for action because you will be able to show stakeholders how these projects benefit your company in particular. Carbon offset programs are not just good for the environment. They are good for business. These programs can help you increase sales, improve staff engagement, and score higher on brand reputation and recognition metrics. If you can measure the business-specific benefits of your carbon offset programs, you can use the data to demonstrate the value of sustainability programs to your executive board. This will help you increase the amount of funding allocated to these types of initiatives and create a ripple effect within your organization. We connect companies with unique carbon offset projects that match their brand goals and values while making a real, measurable difference in communities around the world. We track, measure and analyze the results of each project for you, which makes demonstrating the value of carbon offset projects easy. To see how it works, check out our Help BuildTM program. You can also contact us by phone at 800-924-6826, by email at support@nativeenergy.com now.